Andrew James Driveways specialize in providing a comprehensive range of landscaping, paving and construction services. Together with specialist cleaning and renovation of existing paved areas for both domestic and commercial customers throughout Surrey, Hampshire and the surrounding the areas. At R & J Landscapes, we provide high quality and competitively priced gardening and landscaping services. Our leading garden professional has over 30 years of experience, which means we never fail to please our customers, providing guarantees on all projects. We work on all sizes of project, at both domestic and commercial properties, using only the best materials the industry has to offer. With our coverage area including Watford, Harrow and Aylesbury, we are conveniently located to carry out projects for customers throughout these regions. Approved by The Marshalls Register of Approved Landscape Contractors and Driveway Installers, and with all teams overseen by industry directors, the standard of work carried out by R & J Landscapes is nothing short of exceptional. To arrange your gardening or landscaping work, contact us today and learn a bit more about us and what we can do to get your project off the ground, starting with an initial site survey. Enterprise landscapes is a trusted, professional company with a great reputation to uphold and have had many years experience in the trade. We are based in Hertfordshire, serving, Bedfordshire, Buckinghamshire and Hertfordshire. We offer one of the widest ranges of ideas, designs and styles to help you make the most of your home. Offering the finest landscaping and driveway products, we are dedicated to making sure your specific needs are met and exceeded. With a range of styles to choose from, working with local suppliers with only the highest quality materials, we can find what you are looking for. Industry accredited installers for both Marshalls and stonemarket. We offer free quotations and estimates. Our company pledge is 'success built on reputation' and we stand by this and aim to make sure 100% customer satisfaction from every job we undertake no matter how big or small. 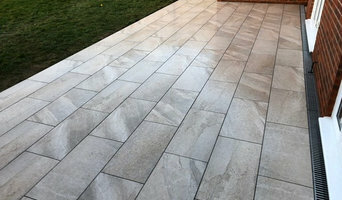 We also appreciate that each driveway or patio is different and unique, so we tailor our services to individual customers and properties, whether you want a modern or traditional look we can handcraft the perfect driveway or patio to your exact requirements. What’s more our work is guaranteed for 10 years Please contact us today to discuss your requirements or for free friendly, professional and helpful advice. We look forward to hearing from you. References can be provided on request. A beautiful driveway leads to a beautiful home. In 2012, The New Driveway Company was founded to bring a new level of professionalism, design and customer service to the homeowners of Britain. Your Home is probably your greatest asset, and you’ve worked hard for it. Property in Britain is among the most expensive in Europe, and when it comes to your new driveway you don’t want to take any chances. You care about the impression your home makes on your friends, your family, and your neighbours, and you value quality and style. You need to be certain that your new driveway is designed to enhance your home, built from the finest materials available and engineered to last. Our designers work in close partnership with you to fully understand your requirements and gain real insight into the vision you have for your home and its exterior landscaping. When you’re 100% happy with your choice of layout and surface options, you’ll get detailed plans and drawings. And even if you change your mind during the build process we’ll adapt to suit you. We will always work with you to develop a driveway that’s within your budget; we’ll never put you under pressure to pay more than you can afford. TDS Paving and Landscaping are Approved Landscaping Professionals and Block Paving Contractors with over 30 years experience in hard and soft landscaping for residential and commercial customers. 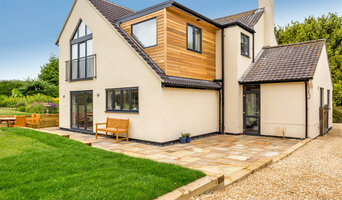 Taylor Paving are a trusted, professional company with a great reputation to uphold and have over 15 years experience in the trade. A one stop shop for all your garden paving and fencing needs based in Croydon, the South East and surrounding areas. Our expert team can handle projects from small residential homes to major commercial installations. Drivestone Paving & Landscaping Ltd is a family run business with over 10 years’ experience installing beautiful block paved driveways and patios that are built to last. Based in Guildford we operate in Aldershot, Camberley, Basingstoke, Farnborough, Godalming, Guildford, Leatherhead, Farnborough, Fleet and throughout Surrey, Hampshire, Berkshire and South West London. We are fully insured and all work is guaranteed. Every project is undertaken by our team of directly employed professionals. We do not use sub contracted labour. From the outset you’ll find dealing with Drivestone refreshing different. We take great care to understand your requirements, offer helpful advice and give design ideas to transform your home to its full potential. We provide free, no obligation quotations and do not ask for a deposit. Punctual and professional at all times, our staff are polite and courteous. Mitchell Construction are a family business run in Weybridge Surrey, established since 1960. 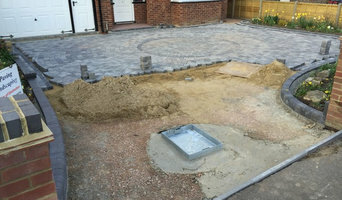 First specialising in groundwork such as patios, driveways and landscaping, over the years the business has grown and developed to cover all aspects of building work. We are a family business that designs, installs and maintains an extensive range of high quality metal, wrought iron and wooden electric gates. We cover London, Surrey, Berkshire, Essex, Buckinghamshire, Kent and Hampshire. All our gate systems are designed and built from the ground up with scrupulous attention to detail. Due to our design flair and commitment to engineering excellence we believe we have one of the most impressive portfolios of completed electric gate installations in the country. Paul started his business with over 25 years experience 12 years ago when Driveway Builders Ltd was formed in 2008 to provide an excellent service to the general public only. We specialise in block paving where our excellence is proven time and again, as any number of our satisfied customers would be happy to tell you. We have a highly skilled and experienced workforce who demonstrate the greatest possible attention to detail, each of our teams are hardworking, dedicated and conscientious and will ensure that the work we do for you is completed to your full satisfaction. Our primary concern is high quality workmanship and a professional service at reasonable rates. We don’t employ pushy salesman, instead you will receive expert advice and a detailed no-obligation quote after a full evaluation of your requirements. We only ever use the best construction products and techniques, and make checks at each stage of construction to ensure the lasting quality of our workmanship. 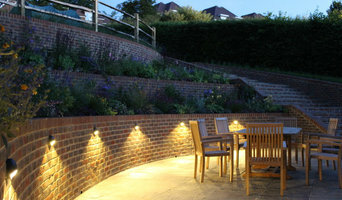 We are an approved contractor registered with both Marshalls & Bradstone and have won Regional Awards with Marshalls. Tarstone Construction deliver the highest quality patios and bespoke driveways, whether brick, stone, concrete or cobblestone. Airkar provide the well maintained cabs with professional chauffeurs to assist you during your travel from Heathrow airport , Gatwick airport. Why should I hire Reading, Berkshire driveway pavers? For those building a new home from scratch or completely renovating a house, sorting out the driveway and paving around the exterior of the house is usually something that comes as an afterthought, or at least left until the main living areas areas of your home are sorted. However, it’s always a good idea to talk to professional Reading, Berkshire driveway pavers at an earlier stage because they can work in tandem with any other exterior contractors working on the job to create driveway solutions that work with the rest of your house. The driveway construction may not be able to happen until after other contractors have finished, but the space will be ready for the paving or laying of the driveway. Here are some related professionals and vendors to complement the work of driveways: Stone, Paving & Concrete, Main Contractors, Landscape Contractors, Cladding & Exterior Contractors. Calling in driveway pavers is recommended if you have a difficult area to work with – steep driveway solutions are offered by contractors for homes that are built onto slopes or hills and if you only have a small area to work with, a driveway contractor will be able to make the most of your space. Even if you don’t need a full driveway construction, driveway pavers will be able to fix cracks, holes and any other damages that your driveway may have sustained, so you can keep the overall look but just give your drive a bit of a touch up. Driveway pavers can also be hired to work on other hardscape areas around your house; whether that’s a rock garden, patio or pathway. Or, if you don’t want a paved driveway, resin driveways and tarmac driveways are neat and low maintenance driveway solutions that can be installed by driveway contractors. Gravel driveways may need to be maintained more than other driveway materials, but they are probably the most affordable and can look smart when done well, especially if you have a grand, sweeping driveway. What type of paving or driveway solutions do you offer? Can I see examples of these driveway constructions? What are your driveway pavers costs? What will be covered by that cost? Does that include the driveway materials? Can you give me a written estimate for the job? When will you be able to start installing my drive and how long will it take you? Are there any important considerations or concerns you foresee with this driveway construction? Find a driveway pavers on Houzz. Narrow your search in the Professionals section of the website to Reading, Berkshire driveways and paving. 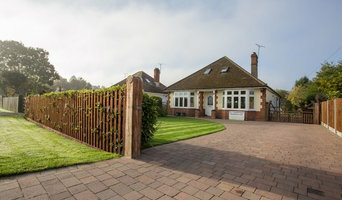 You may also look through Reading, Berkshire photos to find examples of driveway solutions and paving that you like, then contact the driveway pavers or contractors who worked on them.